As the holidays approach, many environmentally conscious folks ponder the question of real versus artificial evergreen products for decoration. Environmentalists don’t want to harm nature in any way, including cutting down trees. 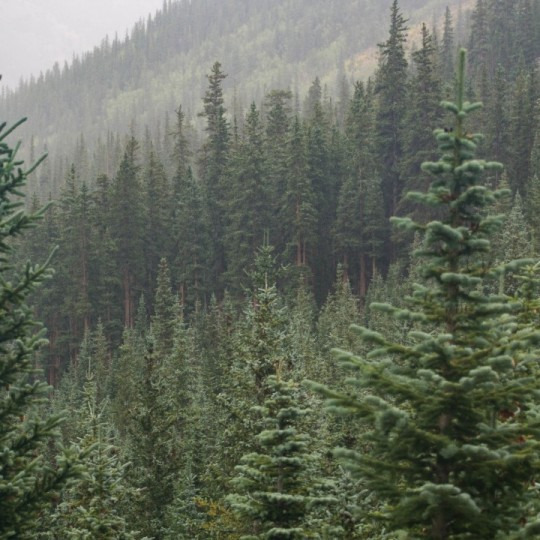 Fortunately, for our eco-conscious customers (and the rest of the planet), Lynch Creek Farm does not cut down trees, or harm our forests in any way, to make our evergreen products. In fact, we encourage landowners to keep growing trees for boughs instead of clearing their land for timber. Our boughs are trimmed from trees that will continue to grow providing all of the benefits that forests everywhere provide. While Lynch Creek Farm strives to protect the forests where we collect our evergreen boughs, our stewardship ethic does not stop there. We are also conscious of the environmental impact associated with the production and disposal of our products. Our evergreens are created by growing trees, which produce oxygen, stabilize soil, provide wildlife habitat, and shade streams keeping the water cool for fish and other aquatic organisms. We create beautiful evergreen products that are fresh, fragrant, and all natural. 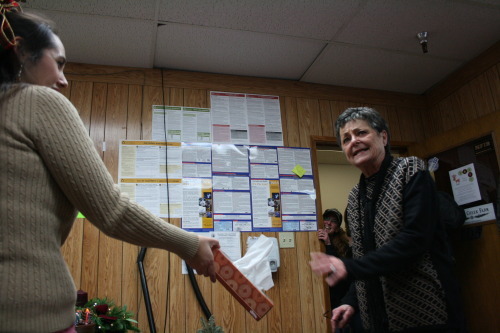 Our customers can feel good knowing that our products will last through the holiday season (and then some!) 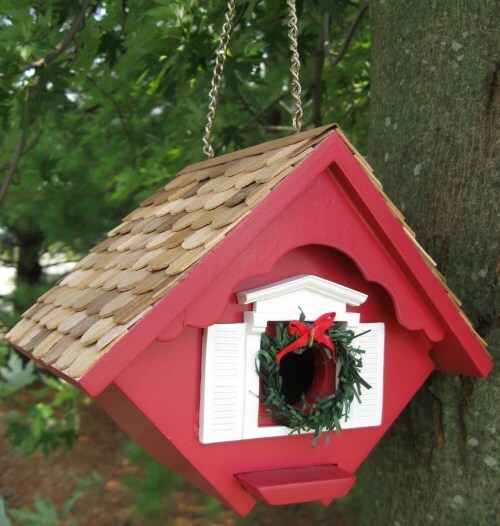 and can be composted, or recycled with yard waste after they have fulfilled their holiday destiny. Our evergreen products are biodegradable and their disposal poses no hazard to the environment. 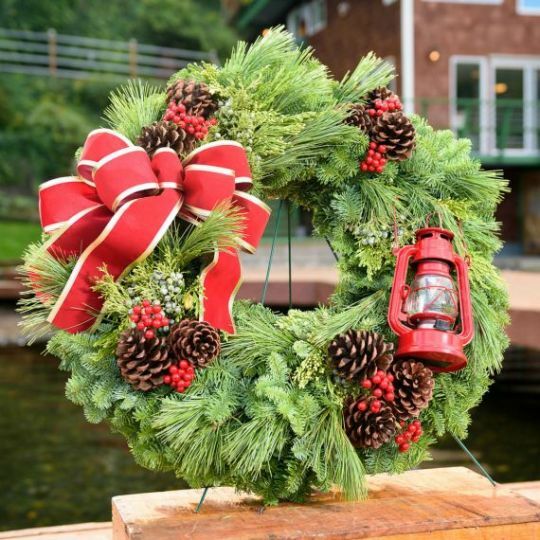 In contrast to the natural, biodegradable evergreen products that we create, one of the most common materials used to manufacture artificial trees, wreaths, and garlands is Polyvinyl Chloride (PVC). PVC is toxic in its production, during the life of the product, and in its disposal. What’s more, there is no evidence that PVC will ever fully break down in the landfill. PVC production is the largest use of toxic chlorine gas in the world, and emits carcinogens such as dioxin, ethylene dichloride, and vinyl chloride. It also produces PCBs and other hazardous byproducts that are highly persistent in the environment and bioaccumulative in the food chain. To make PVC needle more flexible, artificial evergreen products are often manufactured with lead and other additives that have been linked to neurological, reproductive, kidney and liver damage. In fact, the needles of these products may shed lead-laced dust, which can easily coat surfaces and wind up on the hands of anyone who touches them. 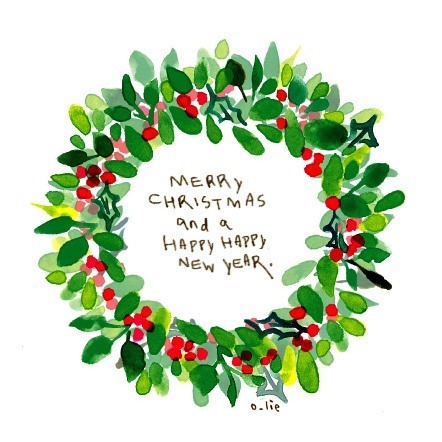 While you may think that artificial trees, wreaths, and garlands will last forever. The reality is that due to use and storage, most of these products last only 5 to 10 years before needing to be replaced. The only option for the disposal of artificial evergreens is to put them in the landfill. So, in some ways, artificial evergreens will last forever…in the landfill. After researching this topic, it is clear to us that fresh evergreens are the clear choice for gorgeous decorations and a healthier environment. We hope you agree! 2015 Holiday Brochures Are on the Way! As you read this post, our brochures are making their way around the country. We have some exciting new products to share with you this season including our first ever hanging basket. 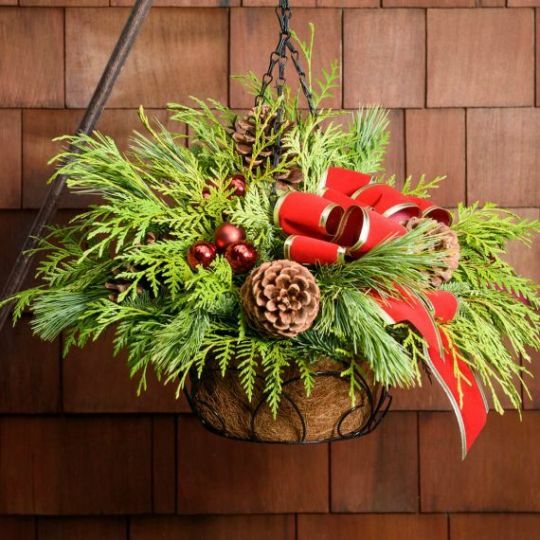 Our Elegant Evergreen Basket is a unique way to decorate your outdoor space and put your hangers to good use (you know they look bare this time of year!). We also have a new product accessory that you won’t want to miss. 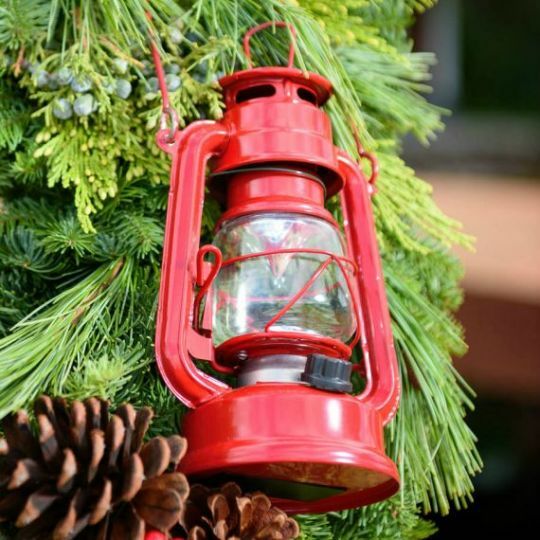 Our little red lantern will light the way to your door in our Western Lantern wreath, or provide illumination at the center of your gathering in our Vintage Glow centerpiece. If you’d like to decorate your home or office with an old time theme, we have lanterns available as stand-alone accessories as well. The lanterns contain functional LED lights that can be dimmed to suit your preference. To make coordinating your decorations effortless, all of our new products feature the same red bow with gold trim (also available on our classic Red Deluxe wreath). 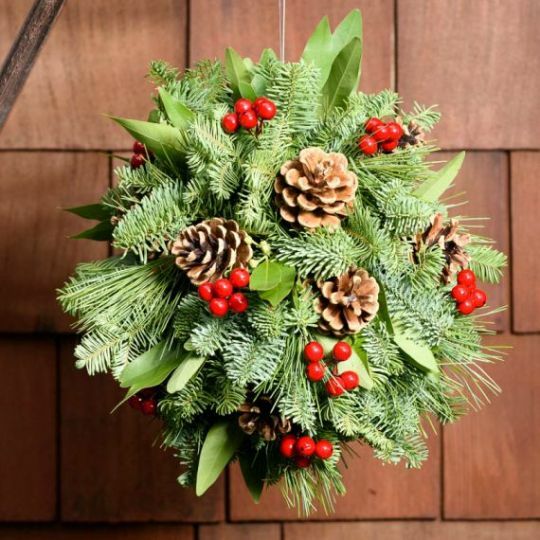 In keeping with the old time theme, we’ve created a decorative Evergreen Kissing Ball, which can adorn any indoor or outdoor space. 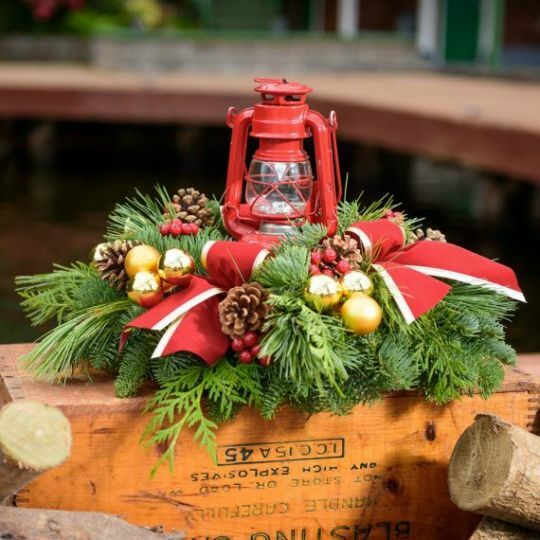 While these products are the shiny new toys of Lynch Creek Farm, our brochure is filled with all of the enchanting evergreen products you have grown to know and love. So, check your mailbox, peruse our brochure (and website! ), and let us know what you think! Eliminate competition. 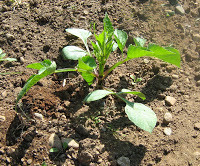 Dahlias don’t like crowding, and weeds compete for light, space and nutrients. 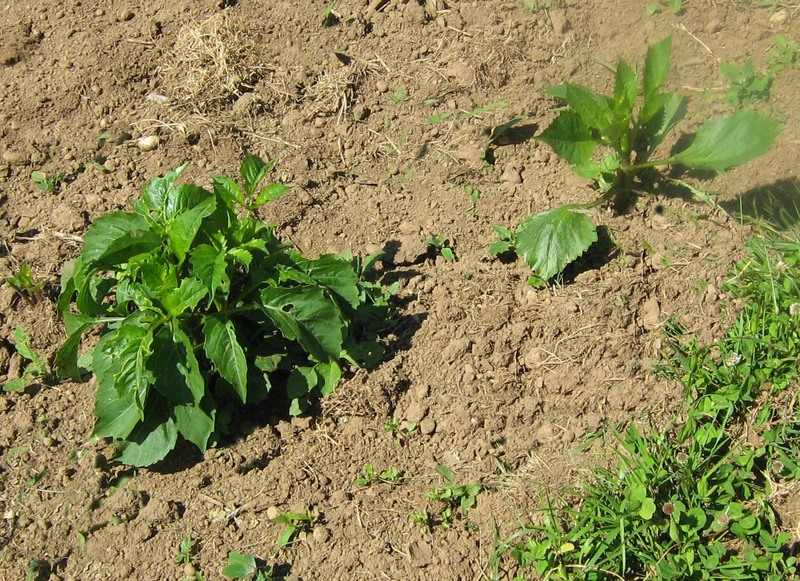 Later in the season, the full-sized dahlia plants will essentially shade out the weeds, but when they’re just emerging, they need the benefit of the sunlight and the moisture and nutrients in the soil for maximum growth and bud development. Even if your dahlias are planted in mixed beds, they’ll need the benefit of space when they first emerge from the ground. Some gardeners who like the look of the densely planted cottage-garden borders, for instance, will start their dahlias in pots and transplant them into their space in the garden (with nice rich soil amendments) once the dahlias are several inches high. Prevent disease. 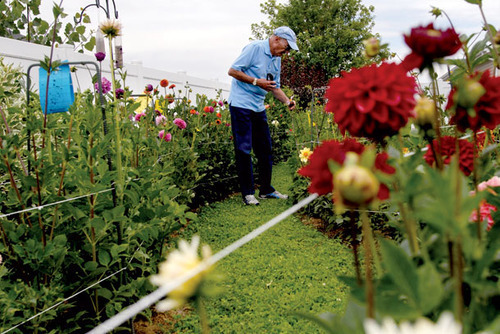 Keeping the dahlia garden weed-free and debris-free will help eliminate the development of fungus-disease spores, vectors that help spread viruses, and bacterial growth that can easily spread by contact. Some of the beetles and other critters that prove harmful to your dahlias will start the season chewing on the weeds and then transfer themselves to your dahlias. Eliminate hiding places for pests. Dahlia pests like snails, slugs and earwigs like shady, moist places to hang out when they’re not gnawing on your plants. Ground-hugging weeds give them shelter from which they can emerge to devastate your dahlia plants, especially when they are young and tender. In a damp spring like this year’s in the Northwest, there’s an overabundance of slugs and snails, so keep an eye out; if your garden’s too big for hand-plucking or stabbing, you may need to resort to bait. For this reason, it’s also important to make sure you don’t have a lot of other debris in your garden and its immediate environment. Piles of pulled weeds, woody debris, even buckets and stacks of pots provide safe harbor for the creepers, crawlers, chewers and maulers that you don’t want anywhere near your beautiful dahlias. Besides, a debris-free garden looks better. Keep on weeding. In most climates, you won’t need to water until your dahlias are a foot or so high at least. Keeping the watering to the minimum you need to keep the plants healthy and growing is not only cost-effective, but it keeps the slugs and bugs at bay as well. Summer is right around the corner and along with it, wedding season! 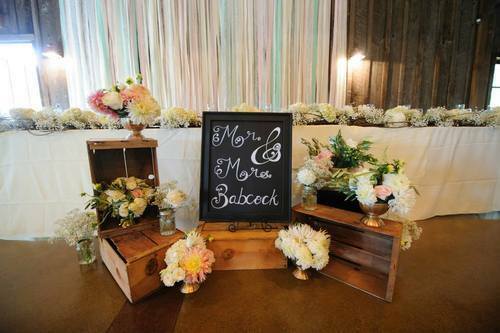 Lynch Creek Farm has been in the wedding game for about a decade, providing beautiful dahlias for ceremonies that range from tastefully simple to extravagant. Our dahlias have been used in every manner from bridal bouquets to decorating the wedding arbor to topping the cake. Lynch Creek Farm has had the privilege of providing flowers for the wedding of Scott Lindsay and Courtney Gregoire, daughter of former Washington Governor Christine Gregoire, in 2011. Our dahlias have even been featured on the TLC show Four Weddings for the Babcock wedding, beautifully decorated by Amy Tanton Designs. If you are planning a wedding taking place in western Washington between August 1st and October 1st, Lynch Creek Farm would be honored to be your dahlia provider. Prices start at $1 per stem for the majority of blooms, with the dinnerplate varieties costing $2.50 per stem. We also offer sunflowers, statice, lilies and zinnias. We require a $250 minimum order for a field tour but if you are only looking for a small amount of flowers, you can also visit us at the Olympia Farmers Market beginning the first week of August. Orders over $1000 are eligible for a 10% discount. McClaren: No, it’s not. I would highly recommend anyone growing plants to grow them organically. To do this one must have healthy soil that is teeming with microbes. 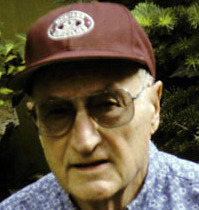 I started organic growing in the early ‘90s. McClaren: We did not think all the chemicals I was using were healthy for our family. Actually, that was Lois who came to that conclusion, and as always, she was right. Since switching, I grow better dahlias with less insects and in the same soil year after year without any effect on the dahlias. The first year growing organically will be a disaster. It improves somewhat the second and by the third year you can breathe a sigh of relief and begin to see a difference. Read everything you can on organic growing, especially the newer organic books, and also Teaming with Microbes: A Gardener’s Guide to the Soil Food Web. 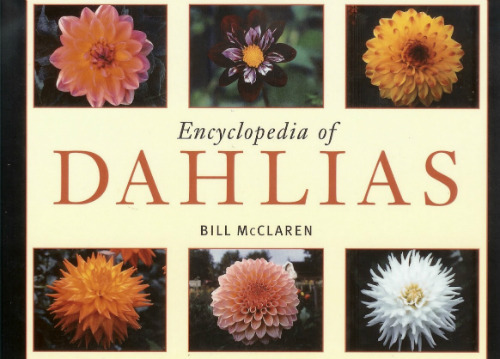 This is the second in a series of conversations about dahlia-growing with dahlia guru Bill McClaren, author of the Encyclopedia of Dahlias from Timber Press in Portland, Oregon. 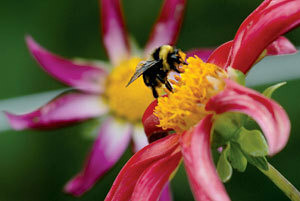 At Alpen Gardens in Kalispell, Montana, McClendon has produced and introduced numerous beautiful dahlia varieties. LCF: How did you become involved in developing new dahlia varieties? McClaren: When I first got involved with gardening in a major way, the two flowers that I especially liked were gladiolas and dahlias. I have always been interested in growing plants from seed. I found that it took 2-3 years to see the first bloom from growing gladiolas seed and only the first year for dahlia seed to produce a bloom. I’m sure I am not long on patience so dahlias soon become the flower I wanted to grow and hybridize. Without many dahlia growers in Montana I did a lot of experimenting. The different forms, sizes and colors convinced me this was the flower to grow. I also found that dahlias could be grown organically but never was successful in growing gladiolas without chemicals. 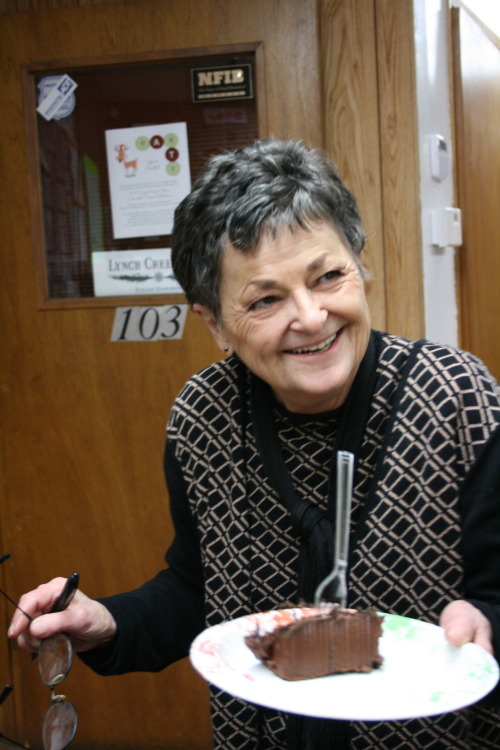 I have always had great support, encouragement, and assistance from Lois my wife. She always assisted in planted, digging, washing, and dividing. No matter how many thousands I grew, she was always there when the work began. LCF: How do you decide what form or type of dahlia you want to work on developing? McClaren: At the present time we have introduced nearly 150 varieties. It would be difficult to select a favorite. It’s like asking which of you children is your favorite (some days I do have a favorite). I think it is important for the beginning hybridizer to select the form, color, and size of dahlia they like the best. 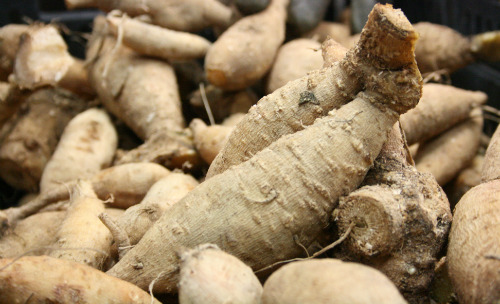 Grow as many of that type as possible and become well acquainted with how they grow, which have the best color, form, tuber production, and which have the best growing habits. I hybridized miniature cactus (dahlias) for a number of years, and then have progressed through orchids, anemones, singles, and I’m now working with dark foliage and mignon singles. Some of the greatest hybridizers work on one type during their lifetime. I tend toward getting bored after reaching my goal, and I start over. But I have worked as long as 10 years on a certain type before reaching my original goal. LCF: Where do you start with hybridizing? McClaren: It is seldom that dahlia growers have sports (mutations) and they often miss seeing them in their gardens. I’d suggest that dahlia growers begin hybridizing by growing dahlia seed. 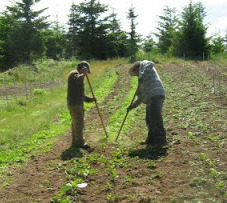 Some begin by buying seed and growing their first seedlings. This is not nearly as exciting as saving your seed and using that as a starting point. There are many things a hybridizer can do for greater success, but that is a whole other lesson. 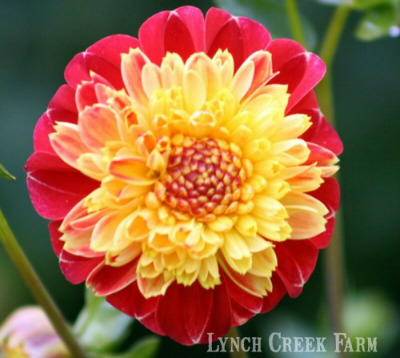 Bill McClaren's anemone dahlia Alpen Fury is a favorite at Lynch Creek Farm. McClaren: Western Montana is an ideal area to live. West of the continental divide our weather is somewhat similar to the west coast with many mountains, rivers, and lakes. Kalispell is located between Flathead Lake (largest lake west of the Mississippi) and Glacier National Park. The scenery is spectacular and temperatures moderate. We have four seasons with excellent growing conditions for dahlias. Out-door activities are unlimited: gardening, camping, hiking, fishing, hunting, skiing, boating, kayaking, and swimming. LCF: You have introduced more than 150 named varieties. Many growers use their name or some key word in naming their dahlia introductions. How do we know if we’re looking at one of your hybrids? McClaren: Many years ago we sat down and selected any name that might go with Alpen, a name selected by Lois when we were in the garden looking at the snow-covered peaks of the Rockies. She said, “Look at that ‘Alpen Glow’. Wouldn’t that be a great name for a dahlia? Also a great name for our garden, Alpen Gardens.” We then made a list of every word we could think of that went well with Alpen. We are still using the list. 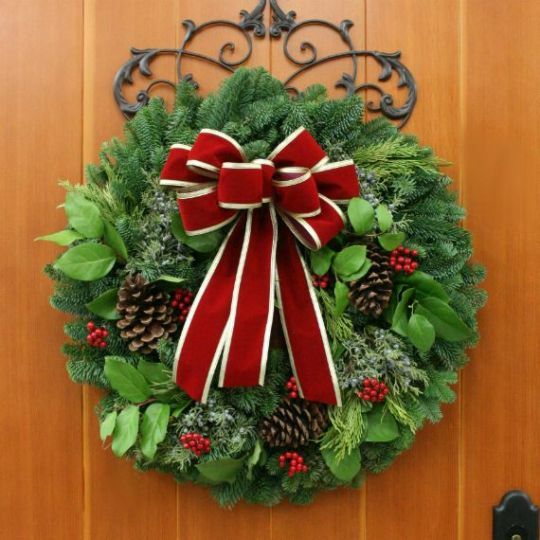 Here at Lynch Creek Farm, we are continuously looking for ways to enhance our customers’ experience with our company, whether that means finding methods to get our holiday wreaths and other evergreen creations to their destination as fresh as possible, listening to our supporters’ requests for new product lines or promotions, or even just offering advice on how to best utilize their new purchase. One concern that we have heard a few times from our customers over the years is that although we identify the variety of their dahlias on the tubers themselves, once the tubers are in the ground, they are not always able to remember which varieties were planted where. Although we were not able to come up with an immediate fix to this problem, we did our research, looked into our different possible options and devised a solution. Beginning with the dahlia tubers sent out this spring, Lynch Creek Farm is providing all of our customers with a waterproof tag for every tuber they receive. Each tuber has a SKU number written on it; this number correlates with a SKU number on the waterproof tag, which will also have the variety’s name, image and other valuable information printed on it. This tag can then stapled or wrapped around a stake so the dahlia grower can keep all their tubers in order. We hope this makes our customers’ lives a little easier when they are out in their gardens. If you have any comments or suggestions for Lynch Creek Farm to make our customers lives a little easier or better, we would love to hear them! 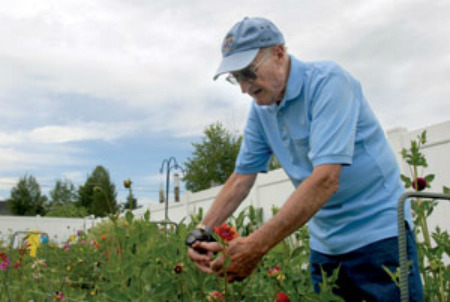 As the second northernmost state in the country, Washington has a pretty long time to go from one dahlia growing season to the next, and when it does roll around, it sure seems to fly by! Well, we have waited and waited (well, that’s not nearly all we did between October and April, but for the sake of simplicity, we’ll just say we waited) and the time has finally arrived for us to be able to plant our dahlia tubers at Lynch Creek Farm. Although we do not ship out dahlia tubers to our customers in the northern half of the country until April 15th in order to prevent in-transit premature sprouting and ensure growing success, here at the farm we are able to keep our tubers in a climate-controlled environment so we took the opportunity to do some indoor “pre-planting”. This pre-planting process involves putting the tubers in planting trays filled with dirt and setting the trays in a temperate, well-ventilated room with bright lighting, essentially simulating a favorable outdoor environment for growing. Although we typically wait until the end of April to do any sort of tuber planting, we decided that we want to get a jump on the season in order to be able to provide our local customers with cut flowers for as much of the summer as possible. Pre-planting large quantities of dahlia tubers has its limitations without the utilization of highly sophisticated and expensive lighting and growing equipment that is usually reserved for growing a different kind of plant that we won’t discuss in our blog (you will have to read Willie Nelson’s blog for that info), so we cannot actually get to the point of producing blooms while growing indoors, but it is a fantastic way to get a jump on the growing season while we are still having to worry about last frost or late snowfall. 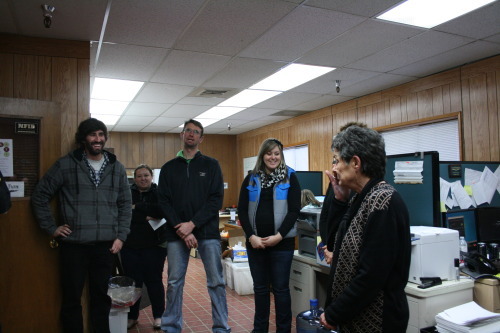 This is an experimental year for us as far as pre-planting goes but we are encouraged by the results so far! 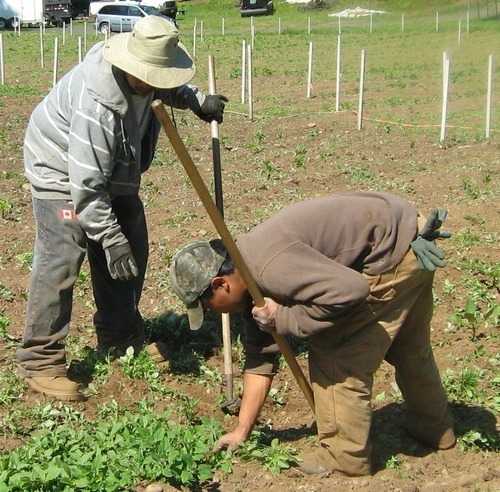 As beneficial as indoor pre-planting is, we are still increasingly looking forward to getting out in the sunlight and doing real hands-in-the-earth gardening. We are currently amending our soil for proper micronutrient and pH levels, but once that is complete, the real fun begins at the farm. We will keep you updated! 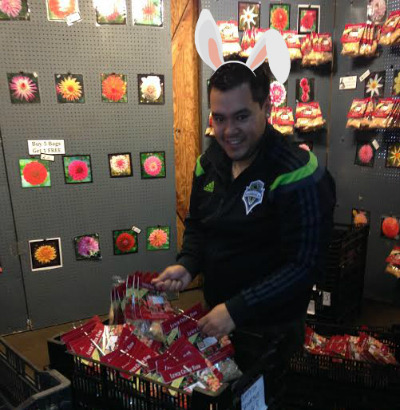 The world’s favorite bunny made his rounds on Sunday, our staff gathered with friends and family to celebrate, and Lynch Creek Farm was once again present at the Olympia Farmers Market where we have been a spring and summer staple since 1980, making it a wonderful Easter weekend as far as we are concerned! 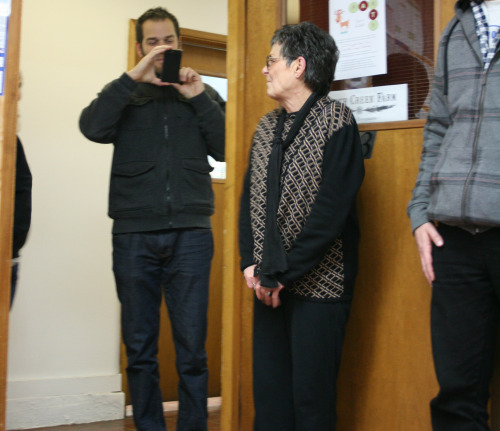 The newest perennial member of the team and author of this blog post (hi, ma!) Kevin took notes from two of the farm’s dahlia experts and well-known faces at the market, Brigida and Evé, to learn the intricacies of setting up the market booth, operating its equipment and answering booth guests’ farm and market- related questions, and got his feet wet on Saturday and Sunday. Despite the April rain showers putting a bit of a damper on market guests’ enthusiasm for immediate gardening, the booth was still buzzing with dahlia devotees and neophytes inquiring about proper growing techniques, best varieties (our general answer: they are all fantastic, it just depends on what you are using them for) and more information on the farm itself. It was a pleasure to answer these questions and interesting to hear various people discuss their passion for the plant and gardening in general. We will be participating in the Olympia Farmers Market through the end of dahlia tuber planting season, which is essentially a week after Mother’s Day. Brigida, Evé, Kevin and LCF owner Andy would love to meet you there! Ah, springtime is here and it feels so good! Although we love the colder months for the excitement and rush of work they bring Lynch Creek Farm in the form of sending out elegant holiday wreaths, centerpieces, tabletop trees and other evergreen creations, there is certainly something special about spring: the warming weather, baby animals, renewed plant growth, and of course, the beginning of dahlia season! After sending out tubers to our customers who have been ordering from our website over the last 9 months (that’s right, some LCF customers ordered their 2014 dahlias before they ordered their 2013 wreaths! ), we are now back for another year at Olympia Farmers Market, offering our selection of dahlia tubers to our fellow western Washingtonians in person. Lynch Creek Farm has been a vendor at Olympia Farmers Market since the Hunter family founded the farm in 1980. Starting with dahlia tubers in the spring, the farm continues to attend the market as a vendor of cut flowers in the late summer and wreaths during the holiday season. 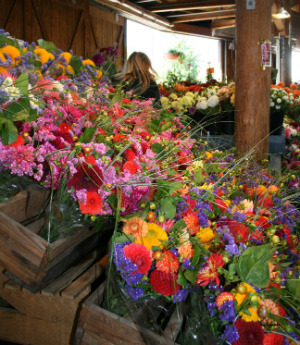 In addition to Lynch Creek Farm’s wonderful dahlias and evergreen creations, you can also find homemade crafts, locally grown fruits and vegetables, and artisanal food products at the Olympia Farmers Market. We hope to see you there! 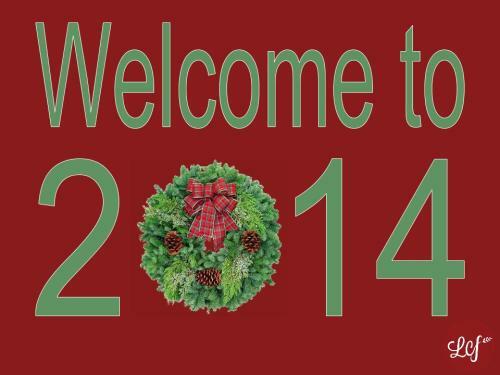 We have created a new “Happy New Years!” Pinterest board for decorating ideas and great New Years resolution list templates. Click on the link to check it out! 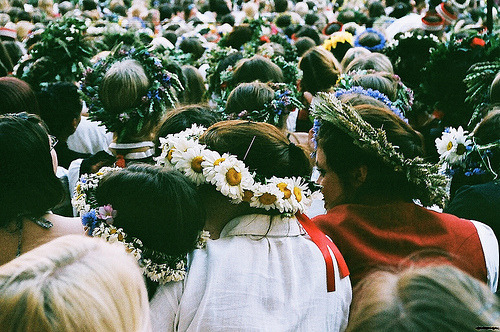 Hippies love a good wreath! Wrens love a good wreath! 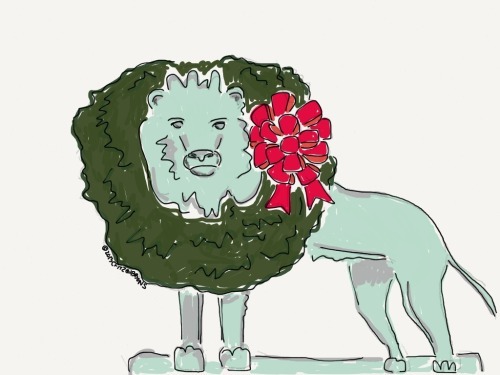 This cartoon lion loves a good wreath! 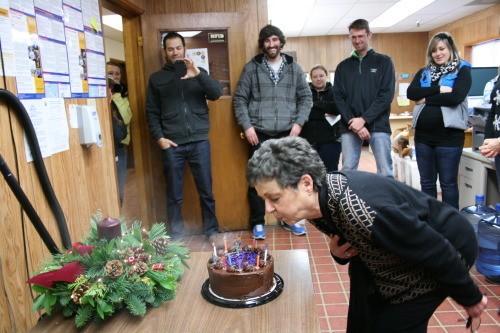 Dorothy, one of our wonderful customer service representatives, turned 75 years young today. 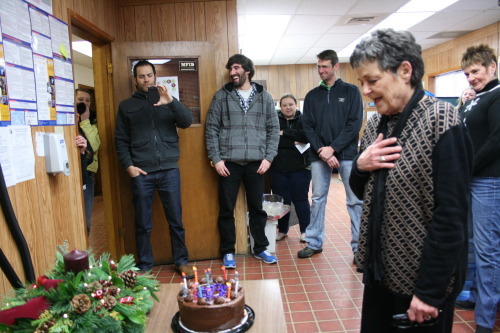 Of course, the rest of the LCF team wanted to celebrate with her! 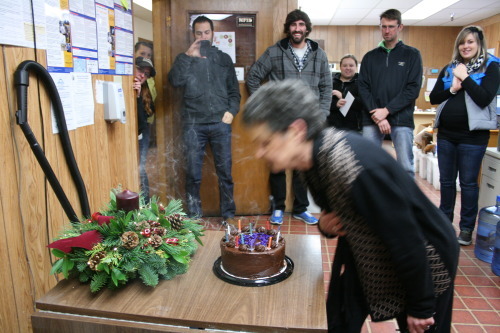 Dorothy’s genuine kindness is matched only by her wit, and we are honored to get to work with her to help spread holiday cheer. Gamers love a good wreath! 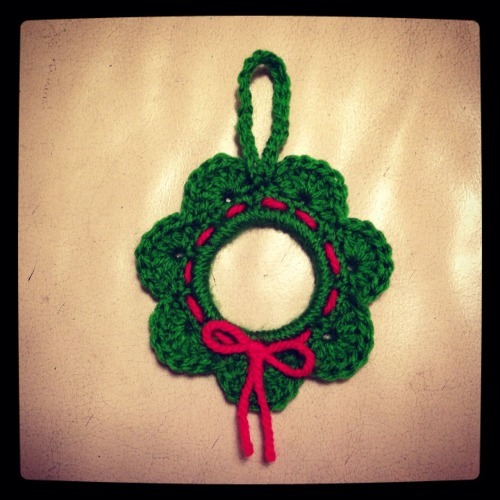 Crocheters love a good wreath!